No formal action or written document is required to form a general partnership. It can either be formed explicitly, as a result of an express contract, or implicitly, as a result of two or more individuals behaving as partners. On the other hand, to form a limited liability partnership, one individual must pay a fee and file the appropriate documents with the secretary of state, or some other state official, depending on the state. Consequently, partnerships are less burdensome to form. However, in the absence of an express agreement, there may be more uncertainty with respect to whether a partnership has been formed. Finally, limited liability partnerships must include the words "Registered Limited Liability Partnership" or "LLP" in the name. Partnerships have no such requirement. The largest distinction between a partnership and a limited liability partnership is with respect to personal liability. In partnerships, each partner is personally liable for all debts of the partnership. 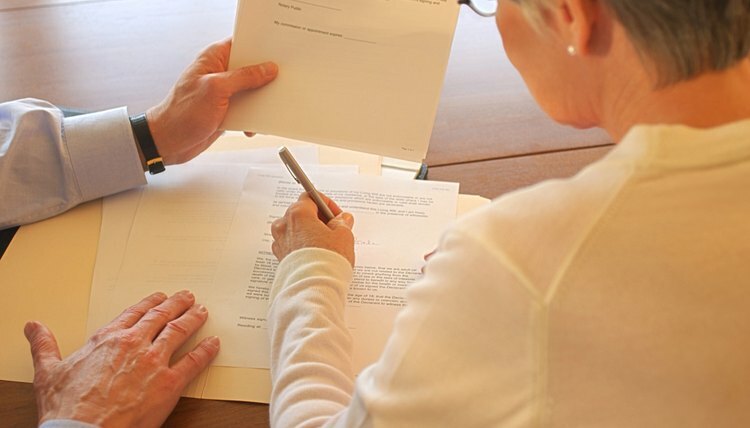 For example, if you are one of three partners in a general partnership and one of the partners is sued for malpractice, the plaintiff can go after your personal assets -- which may occur if the partner who committed the malpractice is unable to pay. On the other hand, LLPs largely ensure that partners are not liable for the actions of other partners. Keep in mind, however, that you are not protected from lawsuits for your own actions. Additionally, the exact scope of the liabilities from which you are protected varies by state. Further, a disadvantage of LLPs is that individuals may be wary of doing business with the partnership knowing that the partners do not have personal liability. In some states, only professionals who are required to have licenses, such as doctors or lawyers, are allowed to form a LLP. If you are considering forming a LLP, you may want to consider forming a limited liability company, or LLC, instead. The owners, known as members, of LLCs receive protection from personal liability just like partners of LLPs. You do not have to provide professional services to form an LLC. The tax structure is the same for partnerships, LLPs and LLCs. Both LLPs and general partnerships are taxed under the partnership classification by the Internal Revenue Service by a process called pass-through taxation. This means that the company's profits are passed on to the partners, who report their earnings on their individual tax returns. This process allows the business’s profits to skip taxation at the company level. Limited liability companies and professional corporations are two forms of business structure available in most states to individuals starting a solo practice in professions such as law or medicine. Differences in how LLCs and PCs are taxed and the different liability protections they provide mean that either an LLC or a PC may be more advantageous to a particular individual depending on her business goals and needs. There are several ways to organize a business other than incorporating. Depending on the nature of your online business and how many people are involved, you may choose to pursue a sole proprietorship, a partnership or an LLC. Over time, as your business grows, you may decide to change its organizational form. Can a Lawyer Be a Sole Proprietorship?